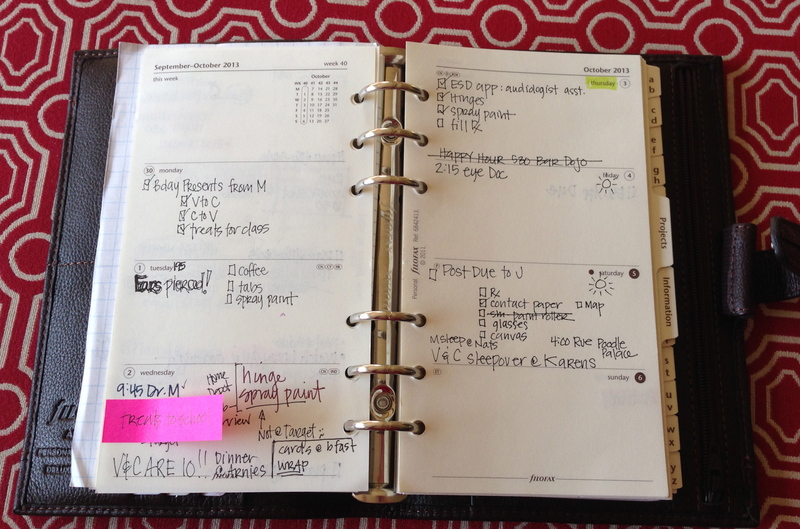 Tammy (and her beautiful handwriting) is back to share Part 4 of The Family Project! Isn’t it funny how life tends to get in the way of the best laid plans? Case in point: our family project was derailed this week due to me being super sick (finally on the road to recovery now I think). So instead of a lovely little post filled with adorable pictures of my adorable kids doing adorable things with their planners, this week all you’ll be getting is an anemic missive on the virtues of having and actually using a planner. Apologies. My week. Not too busy thankfully; however it was the twin’s birthday. On the 2nd, Vivian and Celia turned 10, so unfortunately I couldn’t languish in bed like I wished I could. Double digits is a big deal after all. There were presents to buy, reservations to be made, treats to be bought (for school), etc. 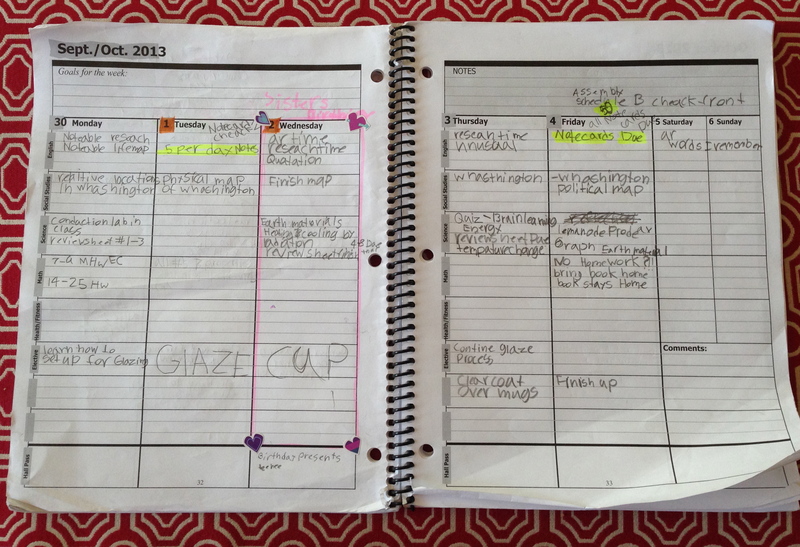 It was beneficial to have a place to jot things as I thought of them and to keep me on track. 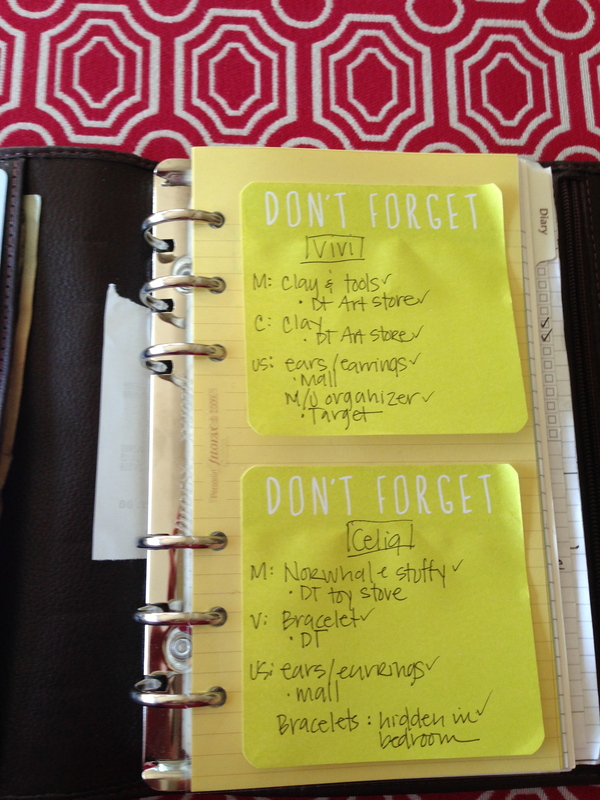 The way my brain was soooo not working, I was so grateful to have a central place for the most important lists. Madeline’s week. We only sat down once evening to go over her week, and frankly only then because she had a big project due on Friday. We talked a little about priorities and making sure she was on track for having all her biography cards done. Vivian and Celia have only math homework every night so I didn’t make them write anything down this week (they are used to reading for 30 min every night since we have been doing it for years and only make them put it on the calendar to get used to writing tasks down) since I was incapacitated. 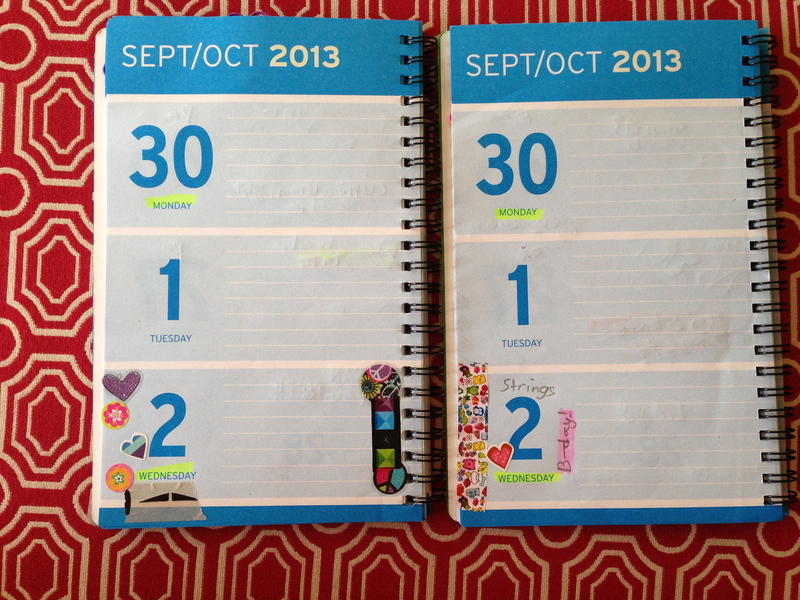 We did mark the days they need to take their instruments to school since I don’t want to get the panicked phone call begging me to bring the forgotten things to school – in case you are wondering, I will do it ONE time, as it is their responsibility to remember. Same goes for lunch bags. Haven’t had to do it yet! Again, apologies for this week’s post. I intend to have proper family sit-downs this coming week and a proper write-up about them next week.